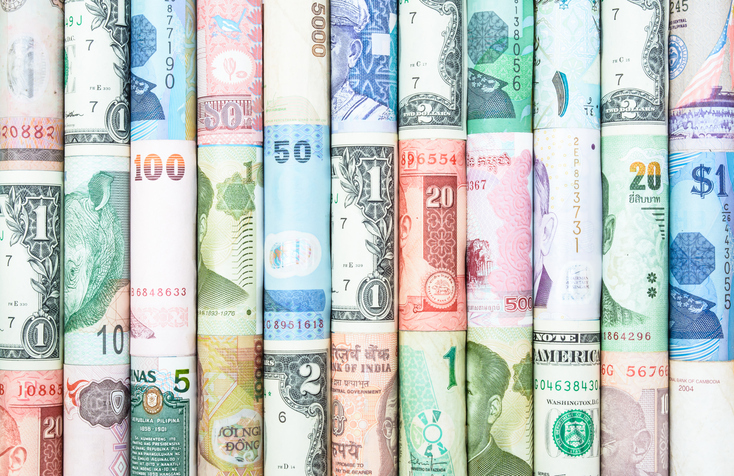 Investors may have allocated a portion of their investments to international markets as a way to diversify their portfolios, but they will face currency risks when seeking foreign exposure. Nevertheless, there are targeted currency-hedged exchange traded fund strategies to diminish the negative effects of foreign exchange fluctuations. Now that the Federal Reserve has signaled it is embarking on interest rate normalization with more rate hikes expected in the year ahead, the U.S. dollar may continue to appreciate against foreign currencies. “We suspect the strong performance of the dollar, particularly against the euro and the yen, where quantitative easing has weakened those currencies, has really shone a spotlight on the role currencies can play in an international investment,” Deustche Asset Management ETF Strategists Abby Woodham and Robert Bush said in a note. Foreign exchange currency fluctuations are a significant driver of international investment risks, but it is one factor that investors can get a handle on. According to Deutsche Asset Management, from 1973 through 2016, leaving in currency exposure to an MSCI EAFE investment resulted in volatility on average 2.7 percentage points higher 91% of the time. “Adding the currency does nothing for your return, but does increase your risk,” the strategists said. Looking at rolling one-year returns and one-year volatility for the euro from 2000 through 2015, Woodham and Bush found that when you add an uncorrelated 0% return asset to a portfolio, the return number remains unchanged but the volatility increases, giving investors a higher reward-to-risk ratio for their investment portfolio.